Windows 7 does more than just add big, shiny new features—it also has loads of little tiny tweaks that just add a really nice touch to the overall usability of the operating system. 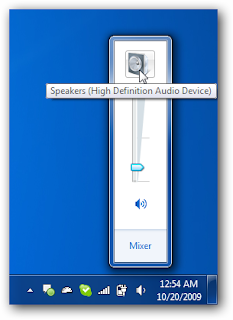 Let’s take a quick look at one of those tweaks in the volume mixer. 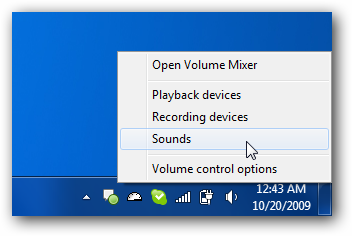 We should start off by pointing out that you can right-click the sound icon in the tray, and get a quick menu that gives you access to Sounds, Mixer, etc. 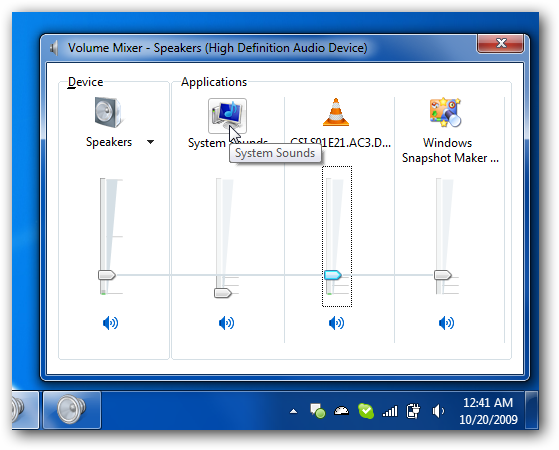 If you single-click on the volume icon, it’ll pop up the slider that we’re all familiar with—but you can also click the Speaker icon to open up the Speaker Properties dialog. Not surprisingly, you can change your speaker settings in here. 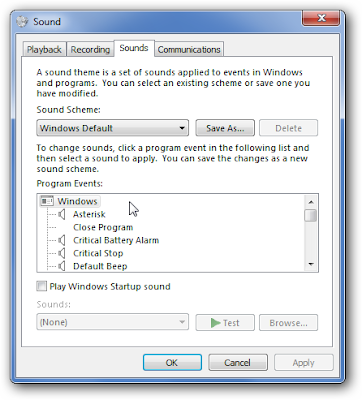 Which, naturally, pops up the Sounds panel where you can disable particular sounds, or all of them. 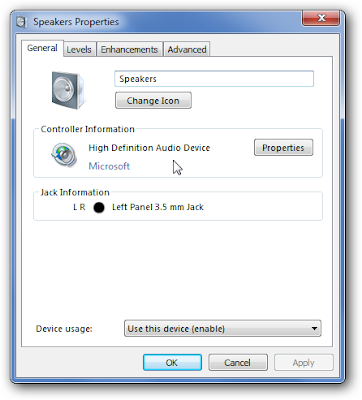 It’s nothing revolutionary, but Windows 7 is full of these little tiny tweaks that just make things easier to use.